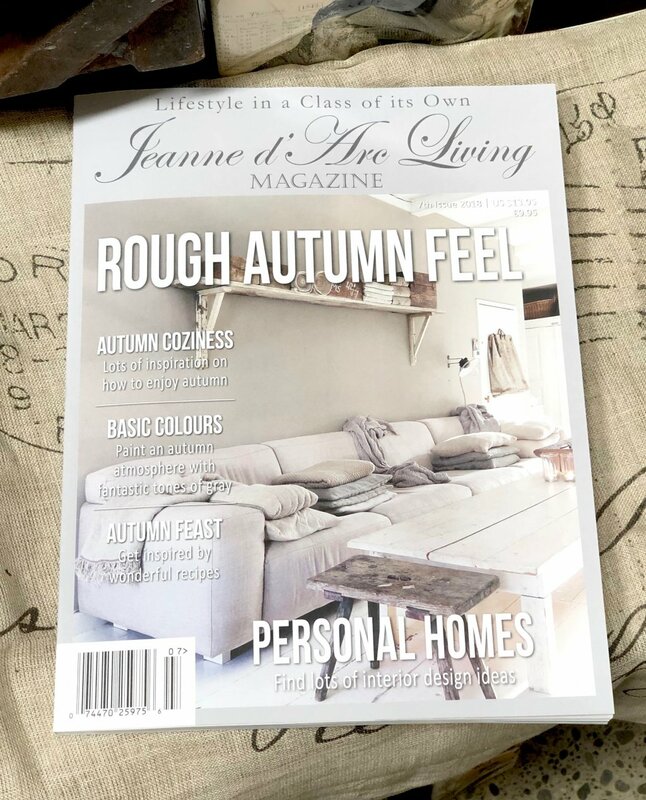 This beautiful lifestyle magazine is published monthly in Denmark and sold (in various translations) all over the world. It is 95% advertising free (there are only a couple of pages of ads at the very back - and they're beautiful too) and features creative craft ideas, captivating articles and beautiful original photography of inspiring homes; vintage & antique textiles and decor, simple Scandinavian recipes, flowers, garden design ~ all in the French Nordic country style. A unique publication and a wonderful gift to yourself each month.